The microphone sensitivity is better than original pioneer MIC ,and have a better test result than original pioneer MIC;. Also note that monitor settings may vary from computer to computer and may distort actual colors. The Pioneer X-HM21V-K provides access to many devices and sources in sleek and compact design. Full audio and video support for iPod and iPhone devices is provided through an integrated top-mount dock. Der Pioneer VSX-921 ist ein Heimkino-Receiver mit 7.1-Kanal-Surround-Sound in HD-Qualität. Er bietet umfangreiche Anschlussmöglichkeiten wie z.B. vier HDMI-Eingänge, zwei Komponenten-Video-Eingänge sowie fünf Composite-Video-Eingänge, die für zahllose Anschlussmöglichkeiten für die Bildübertragung sorgen. Pioneer VSX-D902S Audio/Video Stereo Receiver. In very good used working condition. This reverb amp is in perfect working condition. Fully serviced and cleaned. It does have a few imperfections as seen in the pictures. it is a 120/240 volt for world wide use. was bought while in the military overseas in germany. 7.1 Channel (80 watts per) AV Receiver. Extensive high-end component cables included. HDMI v1.4a with 3D. Remote is missing battery cover. We are not experts in any given field. We want you to be confident when purchasing. Fed Ex Ground. Upon checkout, there there is a handling fee. PIONEER VSX 806 RDS 7 Kanal Surround Receiver + FERNBEDIENUNG 300 Watt TOP! Der Receiver und die Fernbedienung befinden sich im Super Zustand. DSP (digitaler Signalprozessor). Dolby Pro Logic/3-Kanal Dolby/simulated Surround. Beschleunigte Abstimmung (3 Suchlaufgeschwindigkeiten). 9.2 Verstärker mit Bluetooth, DOLBY ATMOS und DTS:X. - 4k Durchleitung und Skalierung bis zu 60Hz. - verarbeitet bis zu 3 Zonen. - HDR, BT.2020, HDCP2.2, Dolby Vision, HLG, HDR10. Dolby Atmos: Yes. 2x Dolby Atmos Add-On Speakers. Tweeter: 1/2”. Woofer: 4”. Frequency Range: 180 Hz-20 kHz. What’s in the Box?. Finish: Black Vinyl. Maximum Input Power: 80 W.
Price is for a single new crossover. Model HPM 100 or HPM 60. 20 years of experience in hi fidelity crossover design. Get cleaner more dynamic midrange and highs with new level of resolution from your HMP100 /60 with this upgrade. 5.1 Verstärker im flachen Design. - unterstützt HDR und BT.2020. Pioneer Sp-c22 Center speaker - Open Box. Tauchen Sie ein in 5.1 HD Surround-Sound. Mit vier HDMI-Eingänge können Sie den VSX-324 als Zentrum Ihrer Audio Anlage verwenden. 4 HDMI Eingänge und 1 Ausgang Front USB. 2 Digitale Audio-Eingänge (1 optisch und 1 koaxial). AirPlay Wireless Audio. Airplay, DLNA. RECEIVER ONLY. NO ACCESSORIES. FM/AM Tuner. AV (Composite) x 2 in. - AM/FM Tuner 30 Presets. HDMI x 1 in (assignable, MHL compatible). Zu verkaufen Audio Receiver Pioneer VSX-527 5.1-Sooraund. schauen sie sich die Bilder genau an. The tuner is referred to here as the receiver. 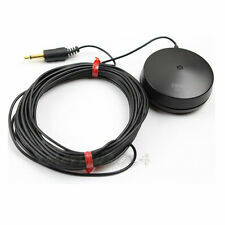 It is a combo pair of receiver with amp that plugs in with a ribbon wire. The receiver itself sounds good. It has a sideways moving display when you change the settings. Im Gegensatz zu früheren Versionen, die eine App-Download oder die Installation von einer CD-ROM erforderlich ist, schließen Sie einfach den VSX-1124-K zu Ihrem Netzwerk, und starten Sie Ihre Lieblings-Web-Browser auf praktisch jedem Gerät. 5.1 Verstärker. - 4K Pass Trough (durchschleifen von 4K-Signalen). - Eingänge: 4x HDMI, 2x Composite, 2x AUX, 1x optisch, 1x koaxial, 1x USB, UKW. It was never opened or used. Includes the original remote and manual. (I do not want to lose it either.). Want to see more products?. The dust cover has minor surface marks throughout. Pioneer VSX-1124 7.2-Channel Receiver Bundle W/ Remote TESTED!! DENT ON TOP. 7.2-Channel Receiver. Beautiful Custom Mahogany Speaker stands for you're Pioneer HPM100 series speakers. Super durable Mahogany Hardwood. Most stands for sale, are made out of 1/2"-3/4". Mine are a full 13/16" thick, and for less money! Very good for its age (1992) condition. Minor scratches. Works perfectly. Pioneer SX-1980 Service Manual w/Schematics FREE US SHIPPING! Inserts: (12) 11" x 17" schematics. Model Designation: Pioneer SX 1980 (sx1980). Here is a pristineREPRODUCTION of a Pioneer SX-1980 Stereo Receiver Service Manual w/schematics. Construction: Printed and constructed exactly like the original. Rare Pioneer SA-V70 A/V Stereo Integrated Amplifier AMP Preampw/ With Remote. Condition is Used. Rare Pioneer SA-V70 A/V Stereo Integrated Amplifier AMP Preamp With Remote. Rare Pioneer SA-V70 A/V Stereo Integrated Amplifier AMP Preamp With Remote. Our custom PIONEER PIONEER PL-518 turntable feet custom feet will help eliminate and isolate vibration. Mnpctech machined aluminum Turntable feet are Made in the USA. You will receive the exact item pictured in the photographs.Everything pictured of the represented item is included unless stated otherwise. Weight 5500g. This item is 100% authentic, Japanese goods. I cordially answer it. Weight : 6600g. - to Southeast Asia (about 2-4 weeks).